The district a erstwhile known as Chini tehsil of the former Mahasu district, came into being as an independent district w.e.f. 1st May, 1960. 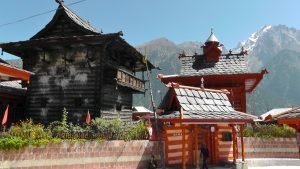 Prior to merger of State on the eve of independence, Kinnaur valley was a part of erstwhile Bushahr State which had its headquarters at Rampur. 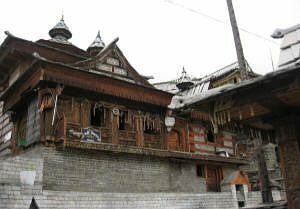 In the absence of authentic historical record the early history of Kinnaur region is obscure and the reference of the Kinnaura or Kannaura and there land is by the large confined to legends and mythological accounts. It would be worthwhile to look at the region of Kinnaur alongwith general conditions of northern India particularly the hilly regions of Himalayas during the period from 6th century B.C. India was divided in to sixteen geat janpadas and several smallers ones. Among them Gandhara, Kamboja, Kuru, Koshal, Mull, Vajji, Panchal, Sakya were either in the southern Himalayas ranges or had territories extended up to Himalayans ranges. Among the states that were flourishing in the six century B.C. The kingdom of Magdha was the first to make a successful bid for supermacy under Bimbisara. Its emperor belonging to Sunga, Nanda and Maurya dynasties carried their banners upto the inhabitated parts of inner Himalayan region.Chandragupta Maurya brought about its political unification under one scepter, negotiated an alliance with Parvataka (Himalayan King) before empire building. With the help of several frontier tribes such as Kiratas, Kambojas, Panasikas and Valhika, he built up the great Mauryan Empire.The empire of Ashoka extended upto natural boundaries of India and beyond that in the west. After the collapse of the Mauryan empire the Kushanas established an extensive empire within and beyond India in the northwest. Emperor Kanishkas hegemony spread over Kashmir and the Central Asian regions of Kashgar, Yarkand and Khotan. His hold extended upto the territory of the Inner Himalayas and Kinnaur must have been the part of this empire. In the meantime northern India was divided into a number of small kingdoms and autonomous tribal states. Under such a divided country the Gupta empire grew. Samundragupta’s empire included the territories of Rohilkhand, Kumaon, Garhwal, Nepal and Assam. Its northern boundary was along the high Himalayas. Kinnaur must have been included in it too. Early in the seventh century A.D., Harsha came to power at Thaneshwar in A.D. 606. During the course of four decades he had established a most powerful empire in India. All the existing kingdoms of Kapisa, Kashmir, Kuluta, Satadru, Mon-li-pa-lo (Ladakh) and Suwarnagotra (in the high Himalayas) were incorporated in his empire. After the death of Harsha in A.D. 647 the country was once again divided into old principalities of the sixth century B.C. It appears that the princes being adventurous owing to territorial greed, first went to these high hills and established themselves on varying territories in accordance with their powers. Particularly the area between Satluj, its tributaries and Baspa upto Mansarover was under the rule of Thakkers from very early times. They were known by the place they had occupied like that of Chini Thakur and Kamru Thakur, under the overall suzerainty of Mauryan and Gupta kings later on. It was the Thakur of Kamru who proved strongest of all the other chiefs of the area and annexed their territories by force sometime after the fall of the Kanauj Empire and laid the foundation of the state of Bushahr, to which the region of Kinnaur belonged till the dissolution of the state very recently. By the beginning of the fourteenth century the entire area of Kinnaur was divided in seven parts, locally called sat khund. There was further splitting up of and the area came to be covered with many small hegemonies, which were constantly warring against, or allying with, each other as conditions required. The neighbouring Bhots also found time to jump into the fray and did not desist from creating trouble. There are various forts like labrang, Morang, and Kamru forts telling the story of that age. In the medieval period, though some of the hill states such as Kangra, Chamba and Sirmaur were attacked and made tributary to the Mughal emperor at Delhi, Bushahr state could not be reached by any adventurer of that time.The consolidation and addition of territories of the Bushahr state continued during the period also. The Thakoorais of Dulaitoo, Kurungoloo and Kuaitro were annexed about Samwat 1611. Raja Chatar Singh who brought the whole area of the erswhile Bushahr State under his control. He was considered most virtuous ruler during his reign. Nothing particular known about his successor Kalyan Singh. The successor of Kalyan Singh according to generalogy was Raja Kehri Singh. He is the hightest skilled warrior of the time. Kehri Singh’s successor were not of the same mattle. Besides mention in genealogy of Bushahr State, nothing is known about Vijay Singh and Udai Singh. It is said that one Raja Ram Singh made Rampur his capital in place of Sarahan and Kamru. During his reign a series of contests began with the Raja of Kulu and Bushahr had lost the territory of Seraj. It seems that the territories which were annexed by Raja Kehri Singh became free during the weak rule of Raja Rudra Singh. But his successor Ugar Singh took them over by force of arms. According to Punjab states Gazetteer-Shimla hill States from 1803 to 1815 the earstwhile states of Bushahr faced the menace of Gurkha invasions. Immediate after the death of Raja Kehri Singh, The Gurkhas made massive attack on Bushahr. The minor ruler and his mother who could not withstand the attack fled away to Namru leaving behind a rich treasury at Sarahan. The Gurkhas looted the treasury and completely destroyed the records of the state. Keeping Gurkhas of Nepal had extended their dominions greatly during the end of the eighteen century. Amar Singh Thapa, the Gurkha leader went up to kangra valley. He was drawn from the valley by the superior forces of Ranjit Singh and those of raja Sansar Chand of Kangra. The tract between theSatluj and Jamuna came under British protection by the treaty of 1809 between Ranjit Singh and the British Govt. Thus the British Government took positive step to expel the Gurkhas and after a long and desperate struggle, completely defeated Amar Singh Thapa on 15 th April, 1815. On the conclusion of the Gurkha war Raja Mahendra Singh was granted a sanad on 6th November,1815. It gave Khaneti and Delath thakurais to Bushahr and a part of Rawin, which was a Distt. of the state was transfered to Keonthal, Kumharsain was constituted a separate Thakurai. From the foregoing account it would appear that during the princely days Kinnaur valley acted as a bulwark to the Bushahr state. However with the lapse of paramountcy, the Kinnaur then known as Chini tehsil was merged to form a part of then Mahasu district. The pargana Atharahs Bish comprised of village Nichar, Sungra, Kangos, Ponda, Baro, Bari, Tranda, Chaura village with patwar circle at Ponda. The Paragana Bish consisted of the revenue estates of Nathpa, Kandhar, Barakamba, Chhotakamba, Garshu and Rupi with patwar circle at Rupi were in Rampur tehsil. In fact then Chini tehsil covered the entire Kinnaur valley beyond Wangtu which was created in 1891 by the then ruler Tika Raghunath Singh. Thus 1891 onwards Chinni tehsil continued to be in existence with its vast area beyond Wangtu uptill 1960. Since 1947 it was a tehsil of the then Mahasu district. By 1960 the importance of reorganising border area was realised and consequently in view of ethnic and cultural considerations the areas which were partly in Rampur tehsil were reorganised into a separate District forming the present Kinnaur district.